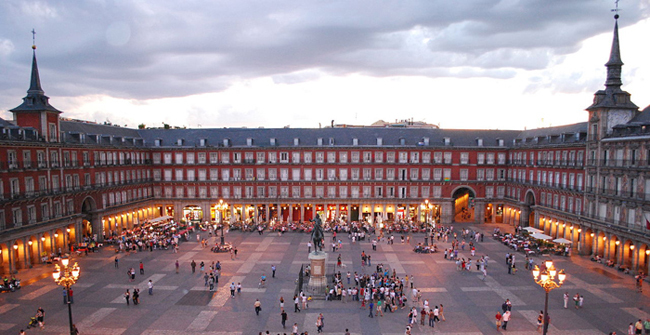 A Guided Tour, that will be held next Thursday 3 from 18:30 until 20:30 starting from Plaza Mayor. From Plaza Mayor to Puerta del Sol we trace the legacy of the Hapsburg and Bourbon dynasties in Madrid, seeing some of the key sights no visitor should miss. The route takes in traditional shops, churches, convents, inns, palaces and theatres, places steeped in history which make this tour a must. After this event, we will go out for Tapas in the center of Madrid (Tapas are not included in the registration). The reservation of this event will be held at the registration desk on Wednesday 2 and Thursday 3. We really hope to see you in this social event in Madrid! From Plaza Mayor to Puerta del Sol we trace the legacy of the Hapsburg and Bourbon dynasties in Madrid, seeing some of the key sights no visitor should miss. The route takes in traditional shops, churches, convents, inns, palaces and theatres, places steeped in history which make this tour a must.